E. CON LA FIRMA Y SELLO DEL CLUB DEBERA LLEVAR EL FORMULARIO A LA FEDERACION QUE SE ENCUENTRA INSCRIPTA EL CLUB (NINGUNA FEDERACIÓN ACEPTARA FORMULARIO QUE NO CONTENGAN LA FIRMA Y SELLO DEL CLUB SALIENTE). 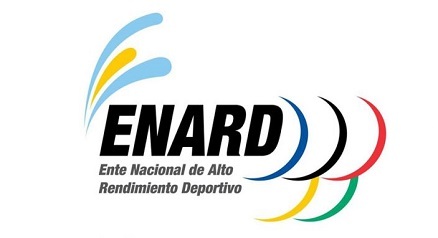 G. UNA VEZ FIRMADO Y SELLADO POR AMBAS INSTITUCIONES (CLUB Y FEDERACION SALIENTE) “LA FEDERACION QUE TOMA AL JUGADOR” DEBERA ENVIAR UN CORREO ELECTRONICO CON EL PASE ESCANEADO A LA OFICINA DE LA CONFEDERACION ARGENTINA DE HANDBALL (confederacion@handballargentina.org) PARA NOTIFICAR DE DICHO PASE Y PARA APROBAR CON SU CONFORMIDAD. H. LA FEDERACION “CEDENTE” DEPOSITARA A LA CUENTA DE LA CAH (CLICK PARA VER DATOS BANCARIOS) EL 20% CORRESPONDIENTE DEL PASE , ENVIANDO EL TICKET DEL DEPOSITO POR MAIL PARA SU ACREDITACIÓN. I. CON EL FORMULARIO COMPLETO, SELLADO, PAGADO Y APROBADO POR LA CAH EL JUGADOR TENDRA EL TRÁMITE CONCLUIDO, PUDIENDOLO PRESENTAR A LA FEDERACIÓN QUE INGRESARÁ. A. LA CONFEDERACIÓN ARGENTINA DE HANDBALL SOLO APROBARÁ EL FORMULARIO CUANDO SE ENCUENTREN TODOS LOS PASOS ANTERIORES COMPLETOS. B. LA CONFEDERACIÓN ARGENTINA DE HANDBALL NO SE RESPONSABILIZARÁ POR EL USO Y MANEJO DEL DINERO ENTREGADO POR EL JUGADOR A LOS “CLUBES Y FEDERACIONES CEDENTES”. C. LA “FEDERACIÓN CEDENTE” FUNCIONARÁ COMO AGENTE DE RETENCION DEL PORCENTAJE DEL “CLUB CEDENTE”, TENIENDO LA FEDERACION CEDENTE LA OBLIGACIÓN DE INFORMAR A LOS CLUBES MODO Y TIEMPOS DE COBRO DE SU RESPECTIVO PORCENTAJE. D. EL “CLUB CEDENTE” O “ LA FEDERACION CEDENTE” TIENEN EL DERECHO ( SI ASI LO QUISIESEN) DE RECHAZAR SU PORCENTAJE DEBIENDO INFORMARLO EN EL FORMULARIO EN LA SECCIÓN “OBSERVACIONES”. F. UNA VEZ CONCLUIDO LAS FORMALIDADES Y DEPOSITOS RESPECTIVOS, LA CAH MODIFICARÁ LOS LISTADOS DE JUGADORES DE LAS FEDERACIONES PARA SU ACTUALIZACION. G. LA CANTIDAD DE PASES INTERFEDERATIVOS POR JUGADOR SERÁ DE 2 (DOS) POR AÑO, UNA VEZ POR SEMESTRE O TORNEO COMPLETO. H. LOS PASES INTERFEDERATIVOS SON EXCLUSIVOS PARA LOS PASES ENTRE “CLUBES”, POR LO TANTO LOS JUGADORES QUE ESTEN CITADOS PARA JUGAR CON SU SELECCIÓN PROVINCIAL EN UN TORNEO ARGENTINO PODRAN HACERLO SIN TENER QUE REALIZAR NINGUN TRAMITE.